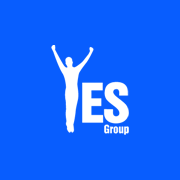 Yes Group Belgium is a Personal Development Community that provides its members with quality resources to enable them to make a positive difference in their lives and the lives of others. Anyone who is interested in personal development and looking for a network of like-minded, positive thinking people, is welcome to join us! We are a movement of vibrant people who meet every third Wednesday of the month to support and celebrate each other’s successes and be inspired, educated and engage with the world’s finest speakers and leaders in the areas of personal development, health, wealth, growth and contribution. Yes Groups are inspired by a legend in personal transformation – Tony Robbins. He speaks about the “seventh power” – the power of environment. We provide a peer group with a high standard, an environment that reinforces you for your success, holds you accountable for your action plan, and knows that you can achieve your dreams. We are part of nature and life is meant to be easy. We are born with gifts and abilities – our creative faculties – that are our true treasures. However at this moment in our evolution, with all the breakthroughs that have been made in the world on all fronts, we are still operating from the outdated mode of SURVIVAL. This is responsible for us going through life looking for direction and validation from a place outside of ourselves. As a result, more often than not we are guided by what others want from us. Without realizing, our THOUGHTS and FEELINGS – which are a reflection of our past experiences – inform us to make decisions and as a result we end up in similar scenarios, repeating the same SABOTAGING patterns, constantly recreating our past experiences regardless of the change in the settings: even in new job environments, with new partners, or in different countries. The more we try to FIT IN, be ACCEPTED, be GOOD ENOUGH, be LOVED, the more we go further and further from our true essence, our true natural abilities and we experience a sense of MEANINGLESSNESS and HOPELESSNESS. The harder we try the bigger the fall. Life becomes a STRUGGLE, full of STRESS and endless ways to COMPROMISE. In this workshop we are going to unveil the egoic structures that cause you a considerable amount of stress, anxiety and conflict and keep you trapped in a life of limitation. You will also learn tools that allow you to KNOW and CONNECT to yourself at a deeper level, embrace your OWN AUTHORITY, INTELLIGENCE and RESOURCES so you can set the foundation to create a SELF-DIRECTED LIFE. 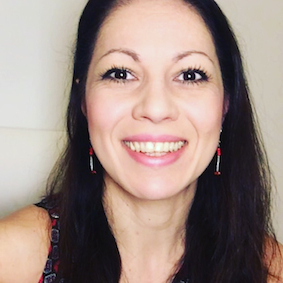 Our speaker is Dr. Magdalena Baciu, CEO of SuperConscious Living International Ltd.
She is a teacher and mentor on awareness, mindfulness, superconsciousness, emotional intelligence, high level creativity, and personal and life mastery. She has the unique ability to see the greatness and true potential in people and her mission is to empower them to take control of their lives, to achieve their true potential and create their legacy. Magdalena Baciu holds a PhD in biophysical chemistry and pharmacology. After a 10-year academic career at prestigious European universities, followed by 4 years of higher management positions in the corporate world, she returned to her first love, the love for people – making her passion her profession. She trained as an NLP master practitioner, hypnotherapist, and trainer in group dynamics, non-verbal communication, high level creativity and superconsciousness. Her teachers, to name just a few: Eckhart Tolle, William Whitecloud, Anthony Robbins, Thich Nhat Hanh, Marianne Williamson, Joseph Campbell, Michael Grinder.